Preheat the grill. 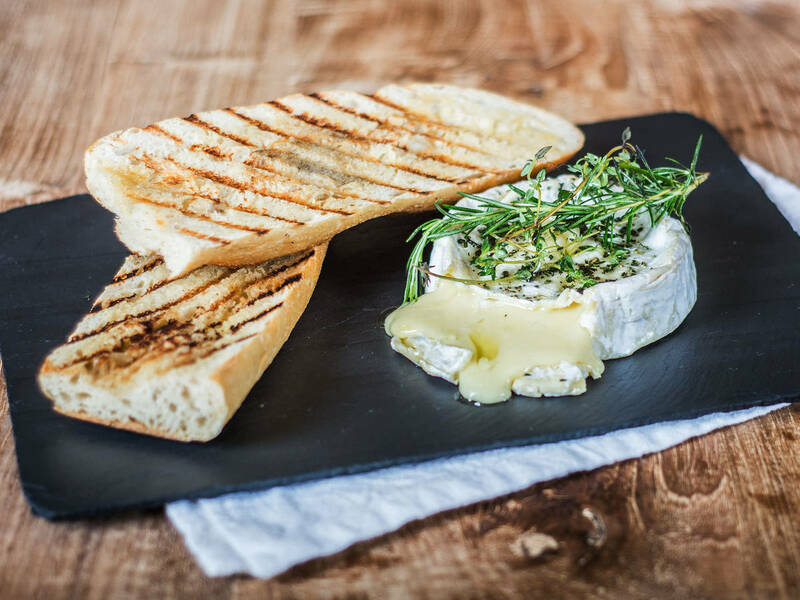 Place camembert on a square of aluminum foil and brush it with some olive oil. Top with sprigs of rosemary, thyme and crushed garlic clove. Wrap the foil around the cheese to form a firm parcel and place it onto the grill. Grill for approx. 15 – 20 min. until the cheese is soft. Cut the baguette lengthwise and grill shortly on both sides until it is crispy. Butter lightly and gently rub with garlic clove. Serve with camembert and vegetable sticks.